The SCHUNK TENDO Slim 4ax is the toolholder for axial machining, which is the only one in its class to fulfill all requirements. Heat shrinking contour as per DIN 69882-8, simple handling, short set-up times, long tool service life, high flexibility along with Plug & Work and applications with minimum quantity lubrication as well. - The ultimate when it comes to axial machining. Boring, counterbore/chamfering, reaming and threading in 5-axis centers and in die and mold construction. - Good radial rigidity for the best shape accuracy. A robust base body prevents lateral deflection during the cutting process. - Best surface quality due top vibration damping that produces the best surfaces without chatter marks. - Suitable for HSC/HPC machining – precision-balanced as standard. 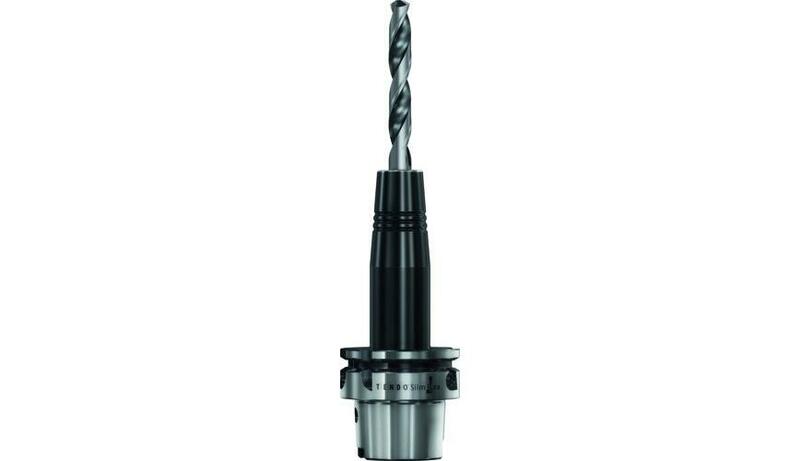 Suitable for high rotation speeds with a balancing grade of G 2.5 at 25,000 rpm. - Excellent vibration damping. The hydraulic system ensures high surface quality, protection of the machine spindle, increased service life, and reduced costs. - High degree of flexibility due to the use of intermediate sleeves. - Plug & Work in existing processes without reprogramming. - Maintenance-free completely closed system. Maintenance-free and a long service life.